Our problem : ‘hidden urbanisation’. What? While the flavour of the month is climate change and the environment, let’s consider a new World Bank study on ‘Leveraging Urbanization in South Asia: Managing Spatial Transformation for Prosperity and Livability’. Quite a mouthful, that title! Making cities “inclusive, safe, resilient and sustainable” is one of the 17 Sustainable Development Goals (SDGs) adopted by heads of state at the United Nations headquarters in September. But that becomes a tough challenge for South Asian countries such as India, already struggling to manage our unplanned and chaotic cities. One of the points that the report makes is that there is something called ‘hidden urbanisation’ that is affecting South Asia, (including India). Considering South Asia as a whole, 30 per cent of its 1.5 billion total population is at present categorised as living in urban areas. Since 2000, this urban share has grown only slowly, at around 1.1 per cent per year. But such official statistics ignore ground realities. The World Bank study describes South Asia’s urbanisation as ‘messy and hidden’. Messy, because cities have been growing outward, spilling over their administrative boundaries, rather than upward through the construction of taller buildings. (look at Patna, Bihar, for instance. More and more village land is quietly being ‘developed’ a long way out of the boundaries of the Municipal Corporaton!). Thus urbanisation is part hidden, because many places have acquired strong urban characteristics — but are not yet officially recognised as urban. Then there is the problem of ever-increasing slums. The most outstanding sign of messy urbanisation is the estimated 130 million who live in informal urban settlements or slums. They inhabit poorly-built houses, have unclear land tenure, and lack access to basic services such as water, sanitation and schooling. What is unique about this study is that the researchers analysed nightlight maps. To overcome the lack of updated urban data, the authors turned to an unconventional source: nightlights remotely sensed by satellites. Nightlight maps of the world — using imaging by meteorological and earth observation satellites — have been compiled by the US space agency NASA for well over a decade and a half. Analysing this data — freely available online — shows how South Asia’s urban areas have expanded at slightly more than five per cent a year between 1999 and 2010. According to this analysis, our cities have grown about twice as fast in area as they grew in population. It suggests declining average city population densities and increasing sprawl. 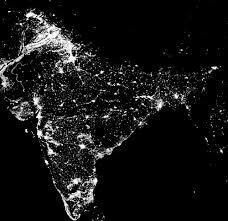 Also, South Asia’s multi-city agglomerations — seen on nightlight maps as continuously lit belts — have grown from 37 in 1999 to 45 in 2010. Our cities vary in size, diversity and complexity. Most have a large informal economy and a certain level of urban poverty. The two are interlinked. Many services and trades rely on the poor, who work on low wages and almost no job security. In such settings, women are especially vulnerable. Just as urban population figures are often off the mark, countries also lack reliable and current data on urban poverty and inequality. More importantly, poverty estimates based simply on income overlook other dimensions of deprivation such as poor health, lack of education, poor quality of work and threat from violence. In its Human Development in South Asia 2014 report, we read how most South Asian cities have bypassed proper planning during the initial stages of urban growth. This has led to congestion, inequalities, segregation, lack of public space and inadequate street patterns. Not just slums but other low-income suburbs with poor connections to the city can also be deprived of proper schooling and health facilities, the report says. This is the case with many sprawling new settlements on the outskirts of Lahore, Delhi and Dhaka. Nationalas well as local-level governance reform is crucial for redressing these imbalances. As more and more tracts of land and civic services are monopolised by those with the most resources, urban amenities are systematically denied to residents with lower incomes. On top of spatial segregation, gated communities and protected enclaves of wealth also result in social and economic segregation and even outright social exclusion. 4- Improve conditions of vulnerable youth, children and women to protect them from the ills of urban poverty. So, as you see, everything is really interconnected: slums, real estate development, basic civic amenities, our garbage problems, the environment, and the joy of living or lack of it. Now, where do we start? 2 Responses to "Our problem : ‘hidden urbanisation’. What?" A bhai, zara dekh ke padho. Don’t act stupid, you are not. Simple point. Unplanned city means horrible life. Many villages near cities becoming like cities- garbage and stuff.